In 2018 the Common in the Old Center of North Andover is a source of enjoyment and civic pride for every North Andover citizen. The beauty of the trees and open space gives pleasure and joy to everyone who visits the Common for a run, a walk, or a quiet moment of solitude. Throughout the year the Common is used by our townspeople for all kinds of celebrations such as the Sheep Shearing Festival, the town celebration of Fourth of July, North Andover Merchants Association’s Fall Festival, concerts, church picnics and family gatherings. In many ways, the Old Center Common is thought of as the center of North Andover. 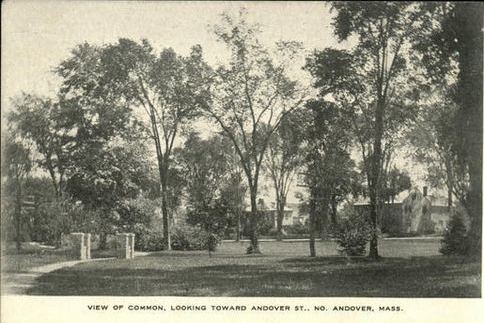 The North Andover Common did not exist as a common grazing field for farmers in the seventeenth and eighteenth centuries. In 1825, Hobart Clark, Town Meeting Chairman, presented a Warrant Article to Town Meeting which stated that for four hundred dollars the Town could purchase five acres of land in front of the North Parish Meeting House. “Your Committee are of the opinion that a common near the meeting house would be of great convenience both to the town and parish." The Article was approved and that land purchase was the beginning of the Old Center Common. Few improvements were made to the Common for the next sixty years. An Engine House was built in 1851 on the east side and a bandstand was also erected. However, by the 1880’s, ideas about civic improvement had become popular throughout the United States. Beautification of public land for public use and improved sanitation for all citizens became popular topics in rural communities throughout the country, including North Andover. In 1885, a summer resident of North Andover, J.D.W. French, founded the Village Improvement Association, now known as the North Andover Improvement Society. In 1885 North Andover had no sanitation department, very little street maintenance, and no town landscaping. The founders of the Village Improvement Society stated goals that included health and sanitation improvements, town beautification, and developing a higher sense of citizenship and pride. At the first Annual Meeting of the Village Improvement Society in 1885, the Common was listed as a main candidate for needed improvement. "The Common could be greatly improved and beautiful by the removal of the Engine House. the grading of the land, the planting of trees and shrubs...Do a little every year and do it as well as possible." The improvement of the Common absorbed much of the Improvement Society’s time and resources for the next seventy-four years. With the support of the Town, the Engine House was removed by 1888 and soon after that, the bandstand was taken down. In 1897, the homestead of Moody Bridges was given to the Improvement Society and removed. For the next fifty-plus years, the Improvement Society worked tirelessly to expand the area of the Common through donations, purchases and Town cooperation. 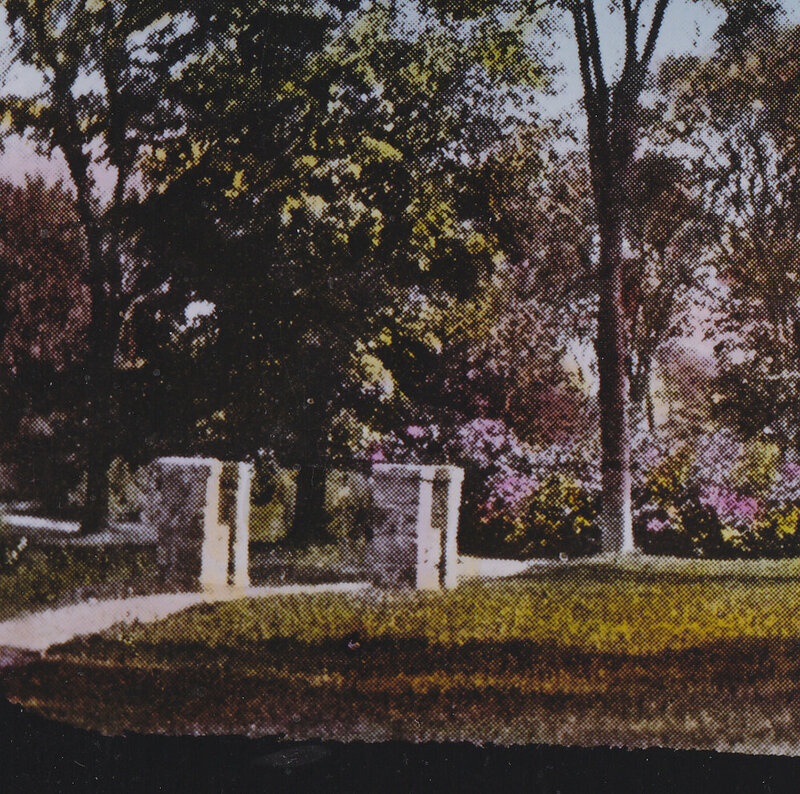 In 1959 the North Andover Improvement Society gifted the expanded and improved Common to the Town of North Andover for the use and enjoyment of the people of North Andover. Since that time, the Town has maintained the Common as a community park enjoyed by all Town residents. In the 1890's established a clubhouse and reading room "To keep the young men off the streets at night"